Know your rights! 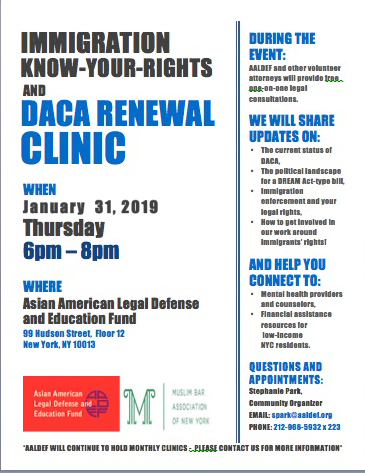 Come to AALDEF’s free DACA renewal clinic on Thursday, January 31, 2019, 6 to 8 pm. You can download our latest January 2019 fact sheet about DACA here.